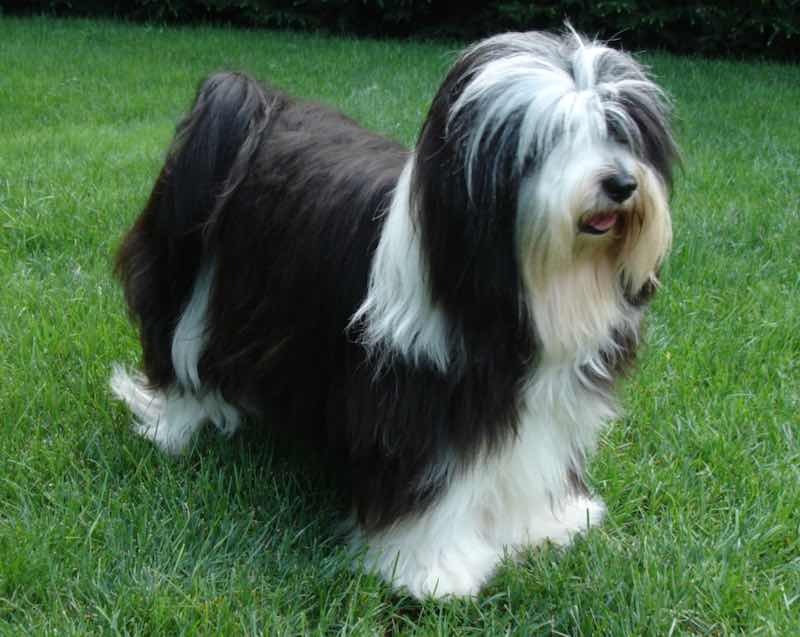 Tibetan Terrier was bred for centuries in the monasteries in the high Himalayas where they were loved and used by the monks and lamas as mascots, good luck dogs, and watchdogs. The dense coat allowed survival in the extreme climatic conditions. The compact size and unique foot structure permitted movement over snow and terrain inaccessible to humans. Tibetan Terrier is not really a terrier at all. It was not used to ‘go to ground’ after burrowing animals nor was it meant to dispatch vermin. And it’s believed the only reason the term was applied to the Tibetan’s name was because it was similar in size to the average terrier dogs. In fact, the Tibetan Terrier dog breed may have been used to herd sheep and just might be one of the progenitors of the Hungarian Puli. 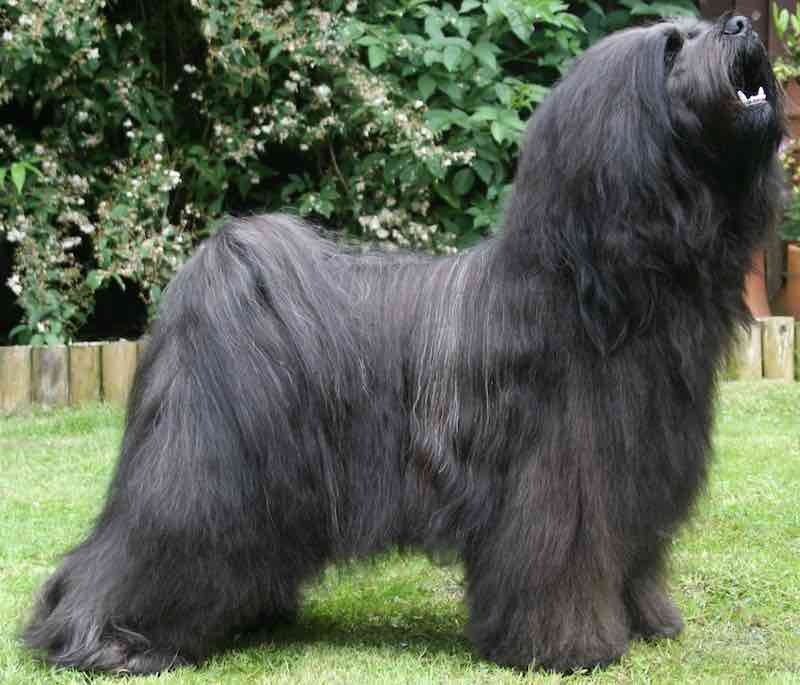 This dog breed originated in the Lost Valley of Tibet and was regarded as a holy dog and a bringer of good luck. The Tibetan Terriers were never sold but only presented as gifts of appreciation. That’s how Dr. A.R.H. Grieg of England acquired her first Tibetan. She was a practicing physician in India in the 1920s and was given a dog by a grateful Tibetan in appreciation for the treatment she had given his sick spouse. 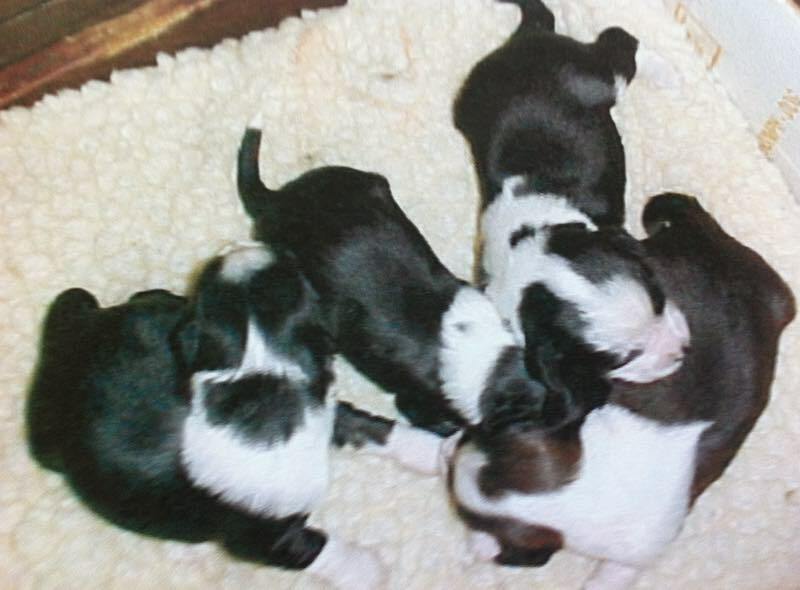 The Dalai Lama also presented her with pups for her interest in the Tibetan Terrier dog breed. When she returned to England, she established the breed there. 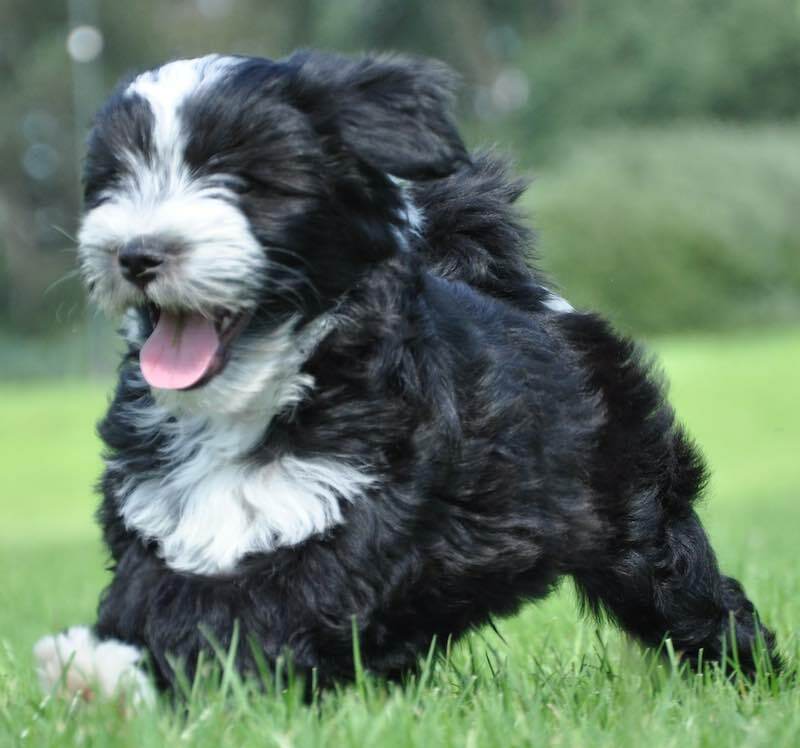 Tibetan Terrier Temperament: Though the breed may be slightly cautious and reserved, the Tibetan Terrier is an intelligent and sensitive dog that is affectionate and devoted to its family. The Tibetan Terrier is intelligent, sensitive, loyal, devoted and affectionate. The breed may be reserved but extreme shyness is a fault. General Appearance: The Tibetan Terrier is a profusely coated dog of sturdy build, square in proportion, with the tail curled over the back. The facial hair covers the eyes and muzzle, providing protection from the elements. The large round feet, with no discernible arch, produce a snowshoe effect while providing traction for traversing and climbing in extreme terrain. 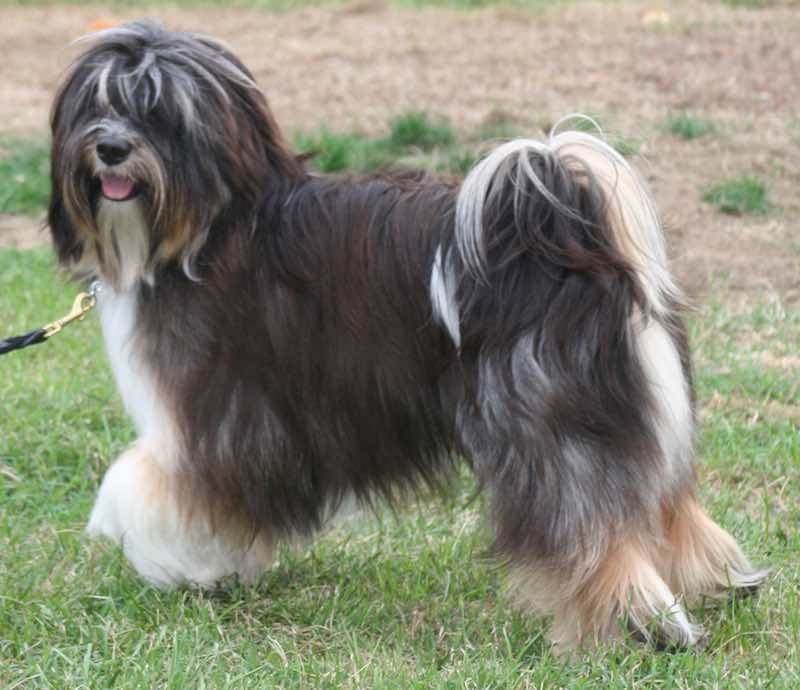 Tibetan Terrier Size: Height 14-16 inches (35-41 cm). Weight 18-30 lb. (8-14 kg). The weight must be proportionate to the height, maintaining a sturdy, compact build. Coat and Colour: Double coat. The undercoat, fine wool. The topcoat profuse, fine, but not silky or woolly, either straight or wavy. The coat is long but should not hang to the ground. Any colour or combination of colours including white or black. Tibetan Terrier Head: Skull of medium length and width, not coarse, slightly domed, narrowing slightly from ear to eye, there shall be a distinct but not exaggerated stop. The cheekbones curved but not overdeveloped so as to bulge. The length from the eye to tip of the nose should be equal to that from the eye to the occiput. Muzzle: The jaws between the canines should form a distinct curve. The lower jaw should carry a small but not over- exaggerated amount of beard. The head should be well furnished with long hair falling forward over the eyes. Nose: black. Mouth a tight scissors bite, a tight reverse scissors bite or a level bite are equally acceptable. A slight undershot bite is acceptable. Eyes: Large, dark, neither prominent nor sunken; should be set fairly wide apart. Eyelids dark. Ears pendant, not too close to the head, V-shaped, not too large; heavily feathered. Neck: The neck is well set on the shoulders, slightly arched, and carried erect. Forequarters: Shoulders sloping, strongly muscled, flat and well laid back. The forelegs should be straight when viewed from front or side. When in motion, the elbows should move close to the body and parallel to the line of travel. Pasterns are short and slightly sloping. Feet should turn neither in nor out and must be large, round, and heavily furnished with hair between the toes and pads. The dog should stand well down on his pads, the foot has no arch. Tibetan Terrier Body: Compact and powerful. Length from point of shoulder to root of tail equal to height at withers. Well ribbed up. Loin slightly arched. Hindquarters: Strongly muscled, in balance with the forequarters. Thighs broad with well-bent stifles. Hocks well let down, turning neither in nor out. Both front and hind feet are structurally the same. 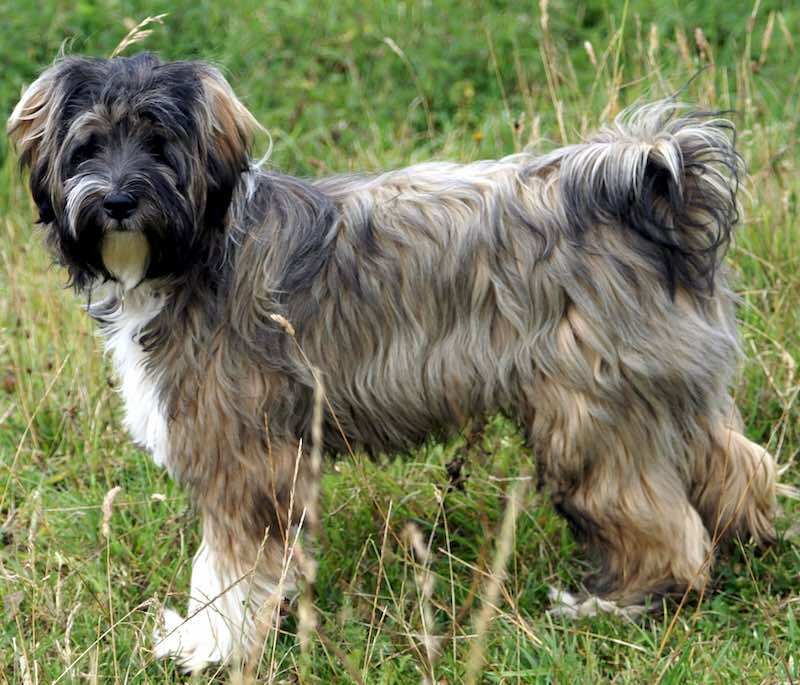 Tibetan Terrier’s Tail: Medium in length, set on fairly high and carried in a gay curl over the back. Very well feathered. There is often a kink near the tip. Gait: When in motion, the legs and feet should move parallel to the line of travel with the hind legs tracking the fore. A dog with the correct foot moves with elasticity and drive indicating great agility and endurance. 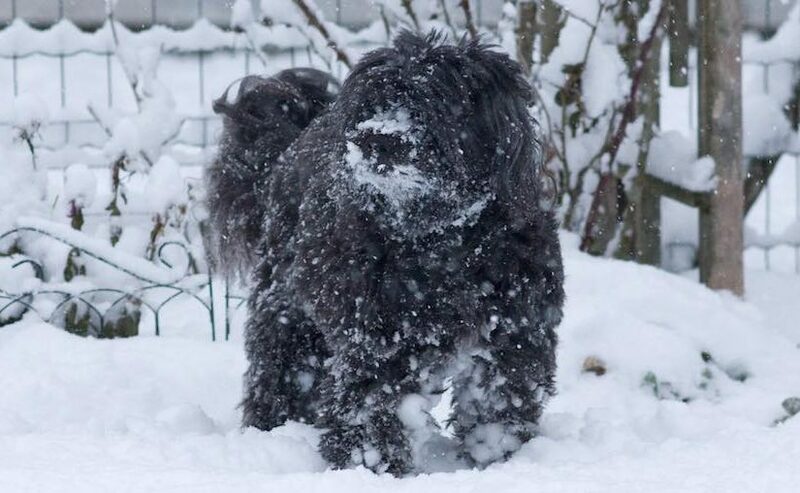 Tibetan Terrier Faults: Extreme shyness; weak, snipey-foreface; overshot or very undershot bite or wry mouth; lack of double coat in adults.